Is there anything better than bright-eyed discovery? Than waking up in the morning knowing a certain number of things are true and exist, and going to sleep with one, two, three more added to the list? Pretty much the best. And since I’m a good sharer, I figured I’d spread the discovery around a little with a few favorite additions to my mental catalogue that you can listen to, eat, read, or wear running. Enjoy. This pained, passionate tune played behind the credits of Dead Man Down, a highly skippable film about revenge and murder that at least introduced me to badass French singer-songwriter Zaz. The title translates to “Dazzled by the night,” and the lyrics are more poetic than anything I’ve heard sung in English in a while. Call it an umami bomb. Call it a butter upgrade (who knew such a thing was possible?). Call it East meets West meets awesome. Honestly, just call it soy butter—a simple mixture of soy sauce and butter, perhaps rounded out with a bit of cream and olive oil, that adds a deep, flavorful jolt to just about any savory thing. The New York Times heralded this basic sauce recently, inspiring me to mix up a batch and drizzle it over some simple baked sweet potatoes. The result: sweet, earthy, salty and rich. A delicious new discovery. Once you start reading Paul Salopek’s chronicles of his 21,000-mile walk tracing the path of human migration, it’s hard to stop. His dispatches read like digital postcards, glimpses into the places, people and historical clues he encounters as he treks out of Africa, through the Middle East and onward toward South America, following in the footsteps of our ancient ancestors. With photos and blog posts—and occasional print stories in National Geographic—Salopek is documenting his journey as he goes, a project that is expected to stretch over seven years. Right now, he’s in the West Bank, a fitting place to pick up the story—though you’ll probably want to go back to the beginning once you get started. 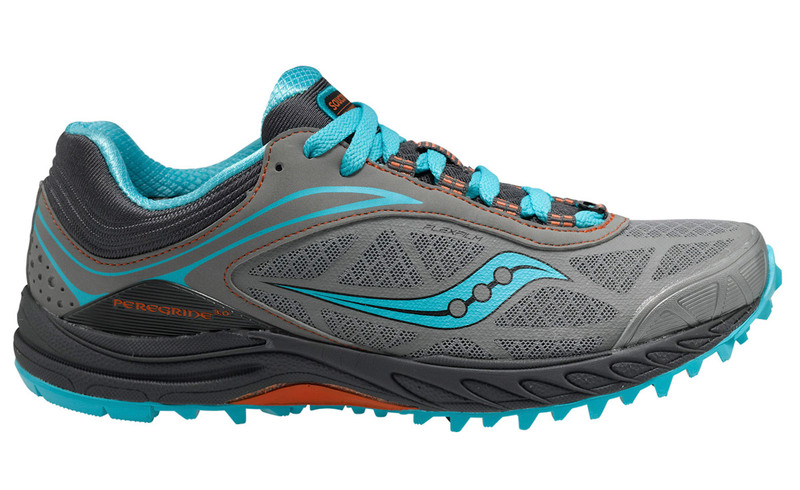 Hello, new Saucony trail shoes. As I’ve shared on this blog before, I’m putting in a little extra mileage these days, and I recently came to the sad realization that my beloved Mizuno Wave Rider 15s are no longer really up to the task. And so I found myself at Red Rock Running Company after work one evening, trying on pairs of Mizunos, Salomons and Sauconys, dropping way too much money and taking home the latest upgrade of my trusty Wave Riders and my first-ever pair of trail shoes: the Saucony Peregrine 3s. I took them for a seven-mile spin on McCullough Hills Trail today, and the quick takeaways include traction so good it’s disconcerting, a nice snug fit through the mid-foot and plenty of undersole protection from all the rocks and pebbles and occasional cactus needles that pepper this desert trail. And here I never knew I was a Saucony fan. Guess you discover something new every day.